This time last year, I was in Cartagena, Colombia, celebrating my friend Natasha’s 30th birthday. All that week, I kept telling the group about how, once we got back to Philly, I would launch a podcast highlighting great Philadelphians. I was confident. I already had solid experience in both audio engineering and web design, and I knew that I was decent at holding a conversation. Combine that with my weird, obsessive passion for Philly, and I figured that, for a side project, I was in business. I didn’t realize I was actually in business! Fast forward one year, and the show has been successful wayyyy quicker than I thought it might. This week, it’ll surpass 30,000 listens. It’s been featured in Billy Penn, highlighted in Philly Voice, and in PhillyMag. And, this May, on the eve of the one year anniversary of the show’s launch, I’ll interview Mike Solomonov and Steve Cook on the Main Stage of World Cafe Live. Nuts! Back in June 2018, A few months after the show’s launch, I took the leap into full-time entrepreneurship. Between freelance software development, Leavit (the package delivery product I was developing), and my podcast, I figured I’d be a “jack of all trades,” versatile entrepreneur. Naturally, it didn’t exactly go as planned. I didn’t enjoy software freelancing at all. Plain and simple. I quickly stopped doing that. Leavit also wasn’t working out. But, it took me a long time to admit it. In spite of the advice given to me by other entrepreneurs, I partnered with a manufacturing company to design and develop the consumer product. For many reasons, this is a bad idea. That’s like asking the contractors who build your house to also be your architect. After 9 months, several thousand dollars invested, and two useless prototypes, I basically found myself right back where I started. I was out of cash to invest, and didn’t have a good product design. But, I took a moment and thought forward, post-crowdfunding. What I imagined did not excite me. Even in the absolute best-case scenario, with $50,000 in hand, I wouldn’t really know what to do next. In a vaccum, there are plenty of ways to persevere past that moment of failure and uncertainty, and I do plan to revisit this idea someday. But, as my runway of personal savings was shrinking, I looked at my two main ventures. It was blazingly obvious what I should do. Leavit was taking forever, had no immediate path to income, and everything kept going wrong. Podcasting, on the other hand, was coming up aces. And it was going about as fast as I could keep up. Back in July of 2018: I did a Philly Who? episode highlighting the story of Will Tyrone Toms, the cofounder of creative agency and incubator REC Philly. Unbeknownst to me, around that time, REC had been approached by a client of theirs looking for podcast production services. Shortly after Will’s episode dropped, his cofounder and REC Philly CEO, Dave Silver, approached me while at a happy hour event. We stood outside La Colombe Fishtown, in the rain, 3-4 beers deep, and he complimented me on my podcast production quality. He asked me if I had ever considered freelancing these skills. He proceeded to lay out some instructions for how I should put together a pricing proposal, and asked me to send it to him. He then began to pitch to me the idea of me becoming a member of REC, but I cut him off. I had long before been sold on becoming a member of REC’s creative community, I just hadn’t gotten around to doing it yet. 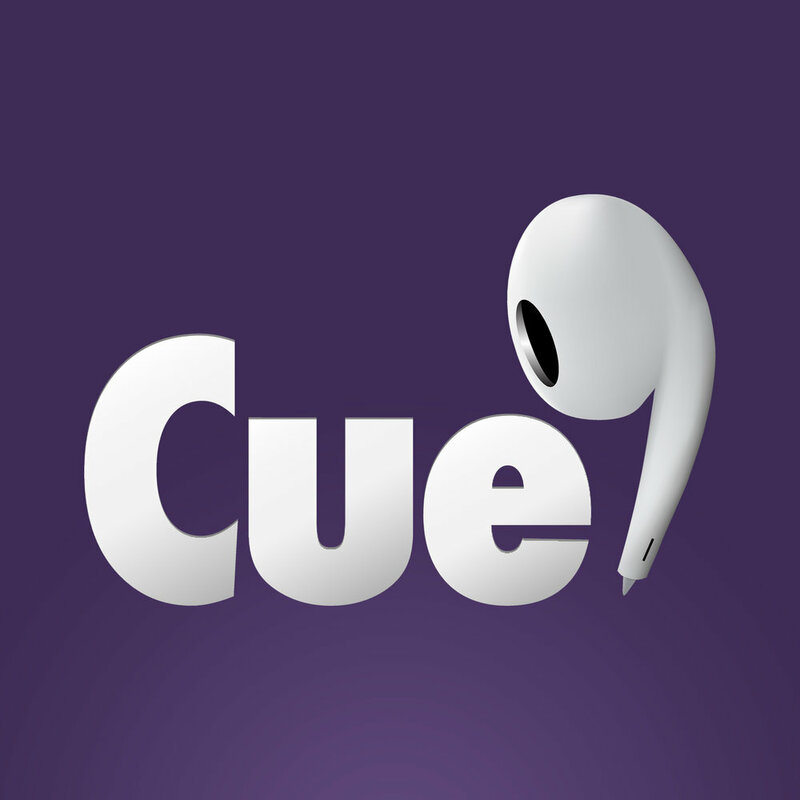 Today, a little more than six months after that conversation, I’m proud to announce the launch of Cue9 Creative and is first full-production show. IDEAS ELEVATED, the first ever Cue9 Production! Next week, Ideas Elevated, the podcast from Comcast NBCUniversal Lift Labs, will be made available on all podcast streaming platforms. On the show, host Danielle Cohn explores the tools and tactics that successful entrepreneurs, industry experts, and up-and-coming CEOs use to take their products and startups to the next level. Among the first guests are: Shark Tank Investor Kevin O’Leary, Atari/Chuck E. Cheese founder Nolan Bushnell, Philly Biz Journalist Michelle Caffrey, and author Alex Banayan. And that’s just the start. Season one will carry through most of 2019. This project has already been a rollercoaster of a journey for me, and I am SO excited to finally share it with the world. While the company is still very much in its infancy, I’m excited to say that I’ve already got a badass team behind me. Associate Producers Angela Gervasi and Bryce Loebel have already taught me finer points in writing, journalism, and project management. Max Graham has been teaching me audio production subtleties. And, there’s so much to say about the countless mentors who’ve invested their time into my success along the way. This week, we’re finalizing terms on a third full-production Cue9 show. And while the initial version of the business will be client-based production work, Cue9 will eventually be creating 100% original podcasts for the world’s listening pleasure. These last 9 months have truly been the craziest of my life, in good ways and bad. It really has been extreme. Some days, I’ve been on top of the world. Others, I’ve felt the world on top of me. I've finally discovered my “passion,” my purpose. It is to bring amazing things to the ears of as many people as possible. This podcasting company is the first of two major announcements for me this year regarding audio. And while this 9-month journey has lead me to this amazing opportunity to start podcasting a business, there is one thing I would change about how I spent it: I would have written more, shared more ideas, developed more thoughts. I’m going to do that, starting now. Thank you so, so much to everyone who has guided me through this journey so far. It’s only just begun, and I look forward to sharing the it with you.